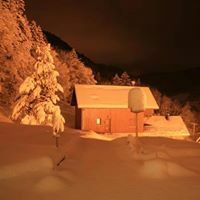 Welcome to our home from home, Le Chatox, here for you to enjoy the wonderful area of Les Bauges National Park high above lake Annecy in stunning Savoie. If your idea of an all inclusive alpine holiday includes sunshine, mountains, walking, swimming, cycling on roads used in the Tour de France, fine cuisine, air so pure you can drink it, 5 great family ski resorts and luxury accommodation to relax and do absolutely nothing – then you may have found your dream holiday destination. 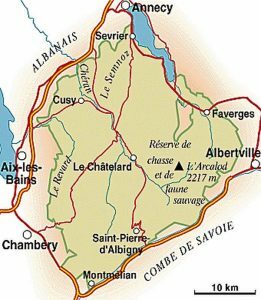 Surrounded by cities of Annecy, Aix-les-Bains, Chambery and Albertville the mountain range of the Bauges in Savoie looks like a fortress as you drive into it. 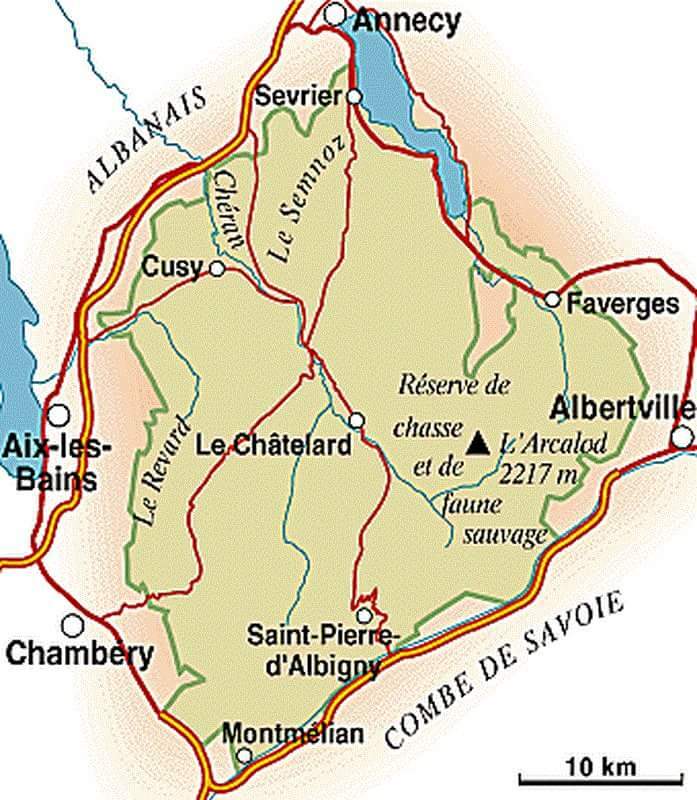 There are six roads that lead into the heart of this ‘island in the sky’ and its ‘capital village’ is Le Chatelard. Once in this designed area of outstanding natural beauty, the countryside slants slowly toward the villages, vast fields and forests. The inhabitants called “Baujus” are warm mountain people who are willing to share the love for their region. 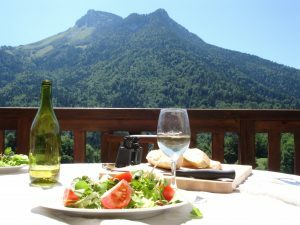 Le Chatox is in Le Chatelard, in the heart of the Les Bauges national park, an area of outstanding natural beauty just an hour from Geneva airport and 7.30hrs from Calais. By horse, donkey, foot, bike, paraglider, ski or snowshoe the Massif des Bauges (meaning the wallows) has something for everyone. Its an all year round paradise with something for lovers of all four seasons or just one. Les Bauges is a step back in time and and we love it! Situated on a hillside on the outskirts of Le Chatelard in the heart of the Massif des Bauges National Park, Le Chatox enjoys superb views of the Mountain Dent de Rossanaz and is a 30 minute drive from the beautiful towns of Annecy, Aix-Les Bains, Chambery and Alberville. 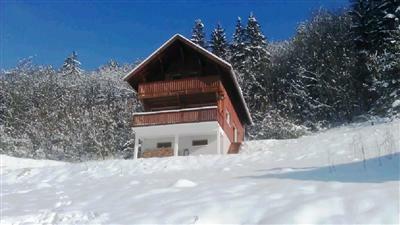 Le Chatox is an ideal base for cycling, walking or skiing holidays. Le Chatelard is a quiet, friendly village with a supermarket, bakery, bar and hotel/restaurant, tourist information, bank and post office and a local food market every Friday morning. It still remains unspoilt and retains a certain charm with its old store fronts and little alleys leading up towards the church. Les Bauges is an area of outstanding natural beauty, heritage and tradition which makes Le Chatox a great base to explore a wide range of outdoor activities or to simply just relax! When the snow arrives in winter thoughts turn to skiing, and snow trekking. Les Bauges has 5 ski resorts so has many ways to enjoy the snow! There is something for everyone from downhill and Nordic skiing, snow shoe, tobogganing and sled dogs. About the owners: Paul and Wendy bought this plot in 2008 and Le Chatox was built in 2009. Paul works for a cycling charity and Wendy is a community nurse. 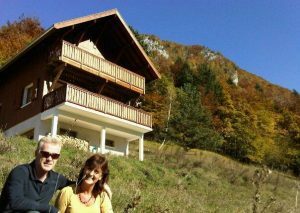 They have holidayed in France since 1987 and first visited Annecy in 1988 camping by the lake in their 1959 VW Camper. This is their favourite part of the country for an ‘any season’ break. One day they hope to live here, but for now Le Chatox is a home from home they wish to share with family, friends and hopefully you !